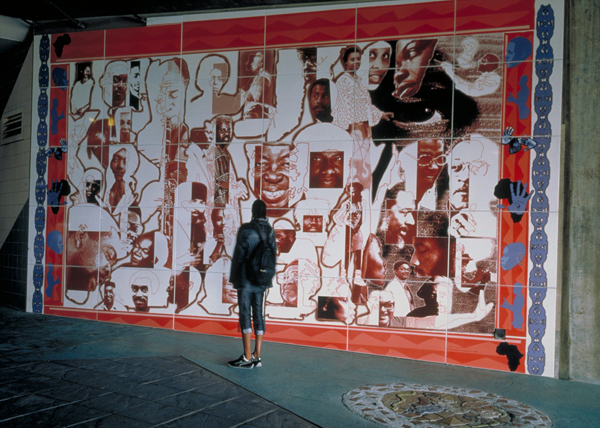 In a Portrait Of My People #619, artist Willie Middlebrook has translated images of past and present artists from the surrounding community into a computer generated porcelain enamel photo-mural. "This work honors the unsung heroes in our community. Not the basketball players, the rappers or those who get the so-called commercial glory, but the artists, actors, sculptors, writers, poets, performance artists, painters, filmmakers and musicians who contribute to our world in so many meaningful ways and who form the structure that upholds the community around the station." WILLIE MIDDLEBROOK was raised in Compton, CA and received his Associate of Arts degree from Compton Community College. 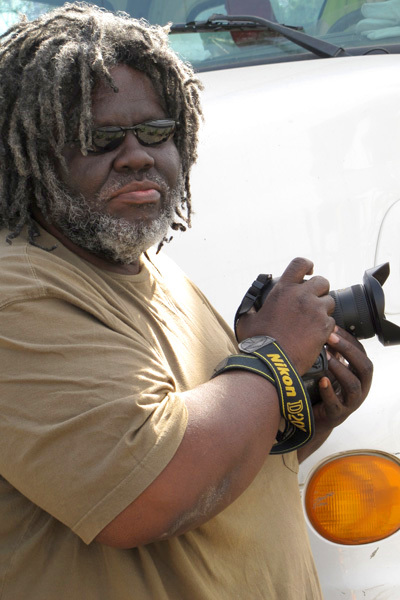 He received numerous awards including two Visual Artist Fellowships in photography from the National Endowment for the Arts as well as a Getty Trust Visual Artist Fellowship and a Brody Individual Artist Fellowship from the California Community Foundation. His work has been exhibited throughout the country including the Studio Museum of Harlem, Art Institute of Chicago, Atlanta Contemporary Art Center, Cleveland Museum of Art and the California African-American Museum. 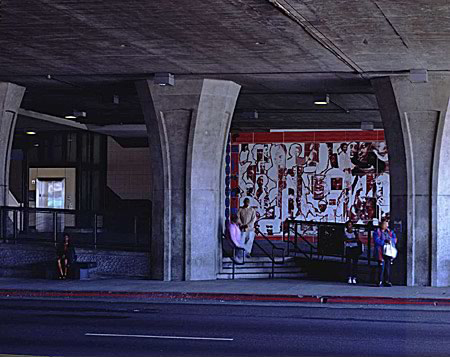 Middlebrook was well known for his uniquely improvisational "photo-painting" portraits which he considered a collaboration between those he photographed and himself. Up until his death in 2012, he described his work as speaking to and about his community, "not necessarily in a positive light but always in a true light."